Homestead JJAK-Southside Jacksonville, Hotel null. Limited Time Offer! 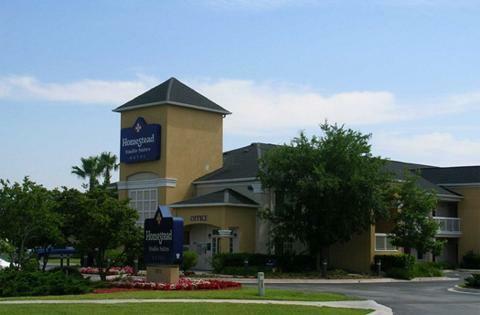 The hotel isRead more located in the south-east section of Jacksonville, at 10020 Skinner Lake Drive, only 29 minutes by car from the city center.The Homestead JJAK-Southside has all the services one would expect of a two star hotel in Jacksonville: Free Parking. This establishment is more of a Budget hotel .You can reach Jacksonville in 61 minutes by car (the airport is 19 miles from the hotel).It is part of the hotel chain EA.This hotel offers a unique service : heated guest rooms.Note:This hotel has a free parking. Hilton Garden Inn - Jacksonville JTB/Deerwood Park hotel provides spacious guestrooms full of thoughtful amenities complimented by friendly service and a relaxed atmosphere all at an affordable price.